This article aims to study the strategic transformative value dimensions of cloud computing. Organizational requirements, managerial strategic objectives, and their attendant challenges are very specific indicators that enable characterization of these dimensions. An exploratory study of 173 cases of companies, covering 17 distinct economic activity sectors, spread over all continents, was conducted, taking into account contingency factors such as culture, size, and structure. The elements of industry, strategy, and technology were also considered, as well as managerial cognition. The analyses of needs, objectives, challenges, implemented solutions, and results of the transformation to cloud computing, enabled us to identify these dimensions. Strategies to maximize the transformative value of cloud computing are then presented. The results of this study can be used by managers to facilitate and optimize this cloud computing transformation. To survive the multidimensional changes in markets related to the frequent evolution of national and international regulations, consumer behavior, information and communications technologies (ICT), and globalization phenomena, companies constantly have to reinvent themselves. They seek to transform their information systems in order to integrate faster technological and sociological mutations such as cloud computing, big data, and mobility. These frequent changes and their induced reconfigurations are accelerating. These disruptions are challenging companies as well as their IT service providers. In fact, in their endeavors to reduce IT costs, firms at the same time need to improve their performance, optimize their transformation programs and mitigate potential risks. They constantly strive to align their information systems with their strategic objectives (Chou, 2015). As a result, digital transformation has become a high priority on leadership agendas, with nearly 90% of business leaders in the U.S. and U.K. expecting IT and digital technologies to make an increasing strategic contribution to their overall business in the coming decade (Hess, Matt, Benlian & Wiesböck, 2016, p. 123). However, in this context of disruptive innovations, such organizational transformations involve deep changes of business processes and corporate strategy. It is therefore essential for these companies to find transformation models enabling them to lower costs and guide disruptive transitions so they don’t hinder development, degrade quality of service and customer satisfaction, or increase risks of instability and weaken security (Tiers, Mourmant & Leclercq-Vandelannoitte, 2013). Meanwhile, challenges facing these companies constitute profitable business opportunities for IT providers. Hence, these companies need to be distinguishable in a market characterized by ferocious and international competition. It is therefore essential for them to find a marketable transformation model to meet their clients’ requirements. The market challenge is twofold: firms look to cope with technological turmoil and providers must bring high-performance operational solutions. Cloud computing provides the ability to conduct ambitious transformation programs currently hampered by the need for huge investments in information systems. Actually, cloud computing enables significant reduction of the financial and human investment required for a company to take advantage of new technologies, therefore fostering access to modern and powerful information systems (Armbrust et al., 2010). From this perspective, cloud computing represents a major evolution in the ICT industry. To convince actors of the transformative value of cloud computing, it is necessary to check if the outcomes meet the expectations of cloud stakeholders, customers, and suppliers. The objective is to implement a comprehensive, rational, and action-oriented approach, optimizing the benefits and minimizing disruptions and discontinuities because of the adoption of cloud computing. This article is based on a positivist qualitative exploration methodology associating deductive and inductive methods. The study of 173 cases enabled us, along with a two-year interaction with the Director of cloud transformation of one of the largest cloud pure player vendors, CISCO, to identify, classify, and discuss the transformative value dimensions of cloud computing. The contribution of this research is managerial, methodological, as well as academic. Indeed, following a grounded theory methodology, a wide range of firms that endeavored the cloud migration are qualitatively analyzed. 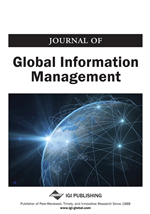 19 positive and nine ambiguous factors influencing the transformation toward cloud computing are identified during the back and forth analysis of these cases, providing crucial elements for managerial decision-making and academic research. The first section of this paper provides a literature review, centered on the benefits and limitations of cloud computing. The second section describes the research field and the methodology followed in this study. In the third section, the results of the studied cases are discussed and the transformative values provided and analyzed. The last section provides our conclusions and recommendations for future research.